Daniel Roth and IWC for the first instalment. Collectors of all stripes acquire for all sorts of reasons, from keeping up with the fashions of the day to simply being hoarders. But often, particularly for those whose interest began early in life, the driver is the desire to buy whatever was out of reach all those years ago. It’s no coincidence that most owners of the storied Ferrari 250 GTO today are themselves of a certain vintage. It’s been about 20 years since I first became interested in watches (I posted my first watch “review” on watch forum Timezone in 1998; the review wasn’t much good). 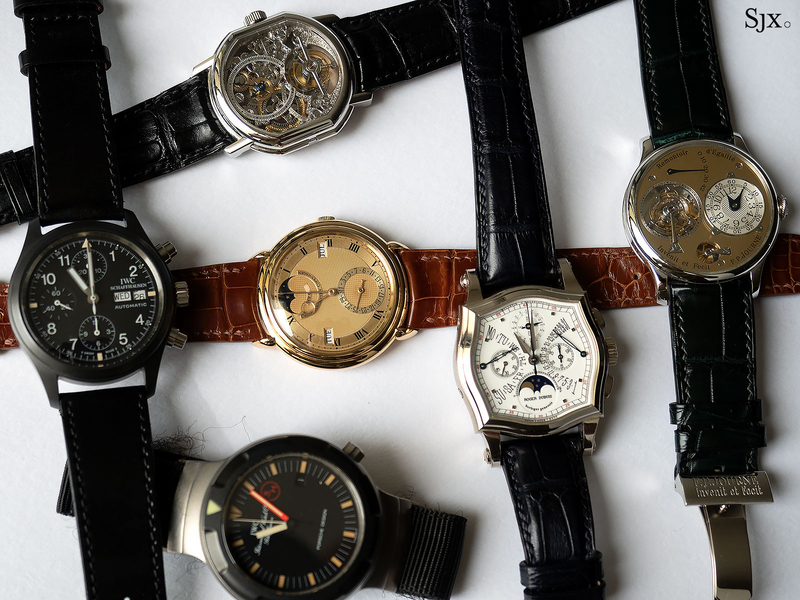 Two decades on I am fortunate to have a few more watches than the subject of that 1998 review, but ironically some of those watches are about two decades old themselves, mainly examples of the great and the good of the 1990s and early 2000s. In 1998, the Patek Philippe ref. 3970 was still in production, Rolex had yet to introduce its in-house cal. 4130 for the Daytona, and Lange would only unveil the Datograph the following year. The landscape then was almost like being on a different planet. Compared to the watches of today, the watches of that era were often plainer, or ornately old fashioned. Technically and conceptually it was a sparser time for the watch industry so the benchmarks were different, but the guiding philosophies were arguably more pure. As a result such watches are mostly out of fashion now, making them good buys relative to what they original sold for. And it is well worth noting retail prices in the 1990s were incorporated a smaller markup than is the norm today, making them even better buys. It is good news for those possessed of this particular type of sentimentality. There’s a bunch of watches that can be discussed, but today it’ll be Daniel Roth and IWC. Independent brands of yesteryear are a personal favourite. Though a tiny number today are desirable and valuable watches – most prominently Philippe Dufour and F.P. Journe – most have faded away. The watches themselves are compelling, but the backstories are poignant and enlightening. Daniel Roth, for instance, was one of the brand names of independent watchmaking in the 1990s, along with Franck Muller, a brand whose influence on the business will echo on for years, and Gerald Genta, whose extravagance in design and materials was limitless for a short, shining period in the 1990s. The early work of Daniel Roth, when the man himself was still running the company, is especially fine and delicate, reflecting a polished aesthetic sensibility and watchmaking skill. My initial encounter with the brand was sometime in the late 1990s, when retailer The Hour Glass put on a watch fair every year in the basement of the Ngee Ann City shopping mall located along Singapore’s Orchard Road. Quaintly titled “Quality Time Collection”, it comprised of various brands, each with their own booths. 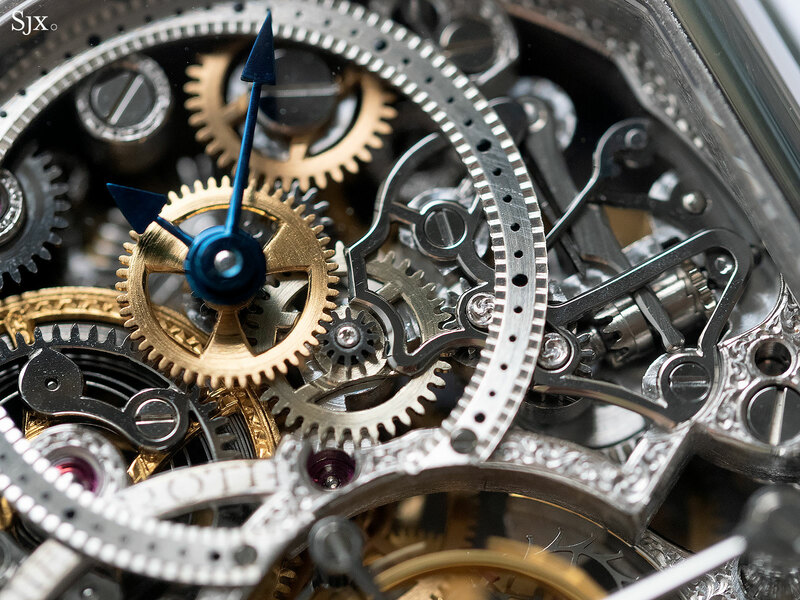 As a measure of what passed for exotic in the 1990s, Paul Picot made it a point to explain the case backs of their watches were secured by titanium screws. 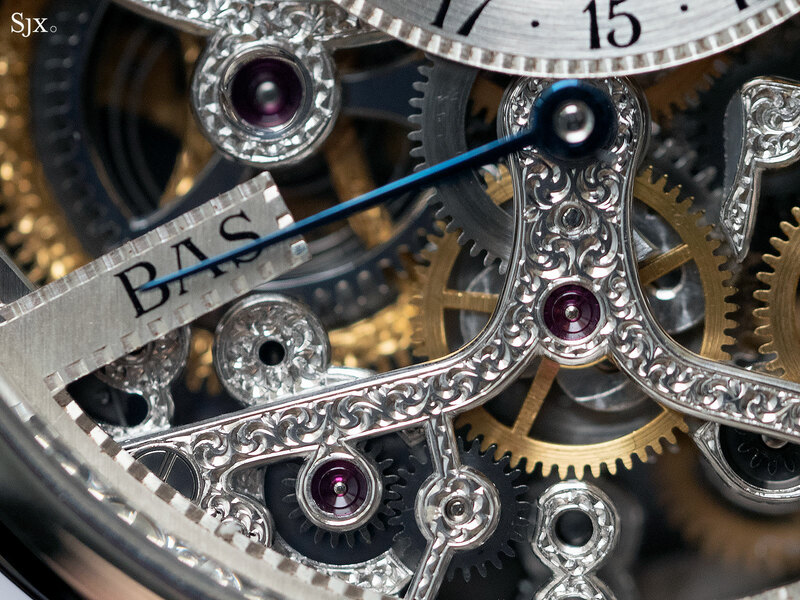 The two most technically interesting brands then were Daniel Roth and Gerald Genta, but the former stood out for its creative take on traditional, Breguet-inspired styling. The guilloche dials and lance-shaped hands obviously drew on Breguet, but the “double ellipse” case was, and still is, entirely original. From Breguet to Daniels to Roth, the lineage is obvious; Daniels and Mr Roth were also friends in the 1980s. Gerald Genta, on the other hand, was pretty much over the top. But because the royal family of Brunei was a major patron of both brands in those days (while also helping to support Audemars Piguet, Breguet, Patek Philippe and Vacheron Constantin), there was fuel for some impressive watchmaking – grand complications of all sorts – and also extraordinary watches set with coloured, baguette-cut gemstones. 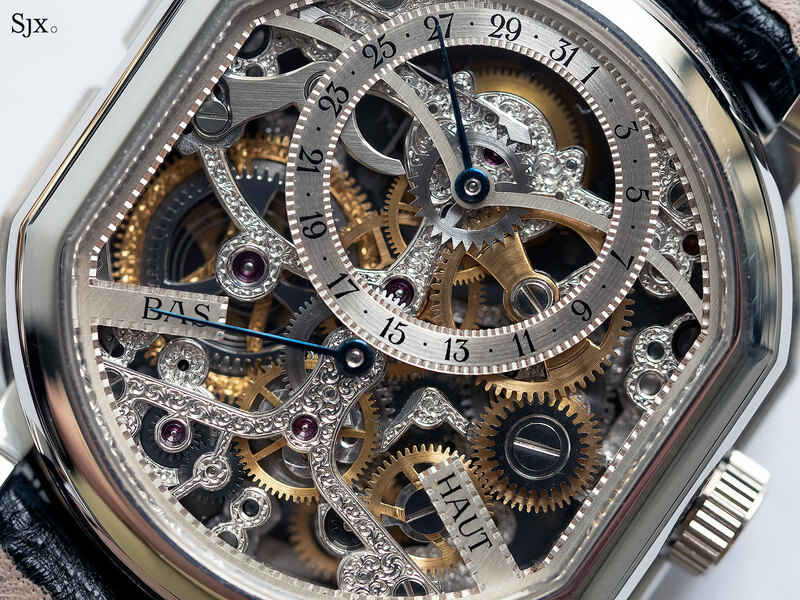 Mr Daniel Roth’s signature work then was the tourbillon, and it still is with his new brand, Jean-Daniel Nicolas. 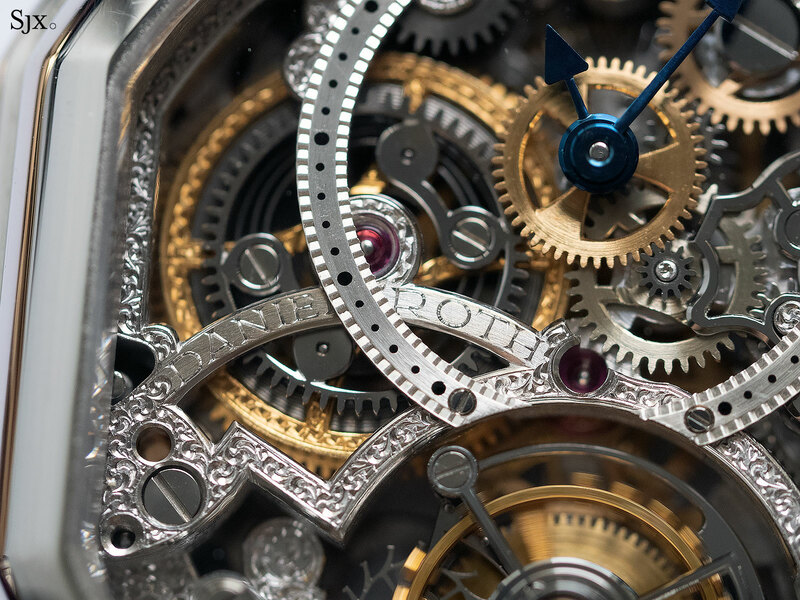 The early Daniel Roth tourbillons were powered by Lemania-based movements, but Mr Roth had worked at Breguet (and consequently Nouvelle Lemania) in the 1970s and 1980s, helping develop many of its movements, making the Lemania calibres somewhat of an in-house development for Daniel Roth. That also explains why all of Daniel Roth’s earliest watches were powered by Lemania movements, even “new old stock” ones from the mid 20th century (for the single-button chronograph and retrograde hours). The very best of the tourbillons are the first ones made in the 1990s, in particular the double-faced variant, which was an invention of Mr Roth’s own. It featured the date and power reserve on the reverse of the case; Mr Roth subsequently designed a two-part case that allowed it to flip upwards while on the wrist, though the mechanism didn’t work too well. According to Mr Roth, the first 24 tourbillon watches he made were produced for London jeweller Asprey, which had its name on the dial in lieu of “Daniel Roth”. But the ultimate Daniel Roth is the skeleton tourbillon, powered by the same Lemania movement but open-worked with exquisite finesse. Mr Roth still practices his craft today, but the Daniel Roth brand name has been extinguished, proof that is essentially impossible for stubbornly old school craftsmen to operate within a corporation. Even establishment brands considered somewhat mundane now were decidedly exciting in the 1990s. Amongst the best reads for a watch enthusiast then was the IWC catalogue, available on request from the newly set-up company website. Getting a copy locally wasn’t easy because the distributor at the time, a Swiss trading house, was more concerned selling washing machines and shoes. Compact, about half the size of an A4 paper, hardbound and mostly in glossy white with black text, the catalogues were filled with a moderate dose of fluff, but were nevertheless exceptionally well penned and informative. Reading it made you feel like a cultivated watch enthusiast. 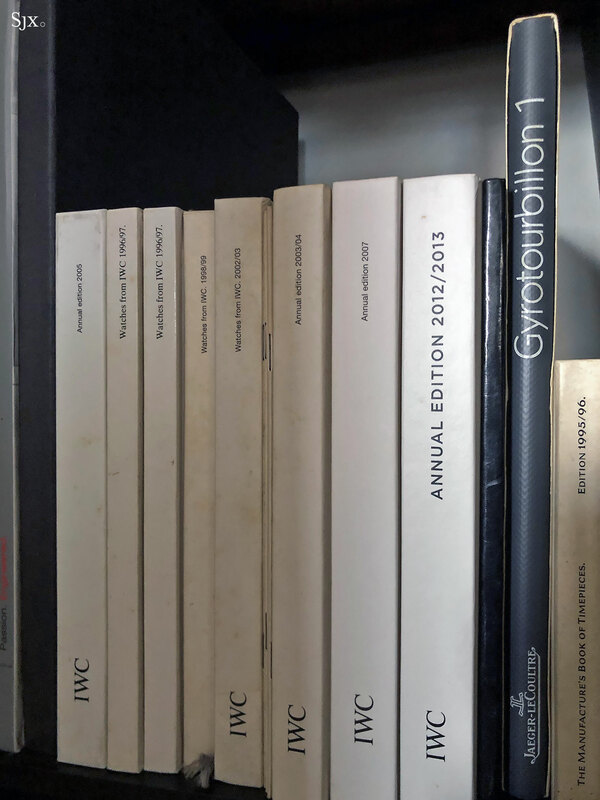 The same could be said, in fact, for the catalogues of IWC’s sister brands at the time, A. Lange & Söhne (“When Time Came Home”) that had catalogue twice as large, and Jaeger-LeCoultre, with catalogues the same size but in landscape format. All three were owned by the defunct German industrial and telecoms giant Mannesmann and run by the late Gunter Blumlein. Oddly enough, much of it seemed to have been written by native English speakers, which is not always the case for catalogues today. The no-nonsense sensibility of IWC designs for its pilot’s watches were extremely appealing, even more so since they were backed up by a legit history of military pilot’s watches made for the British Royal Air Force in the 1950s. Then the inspiration for IWC’s pilot’s watches was kept strictly to the uncontroversial Mark 11 of the RAF, skipping the beobachtungsuhr (or B-uhr) issued to Luftwaffe navigators during WWII, which is now the basis for the current pilot’s watch styling. Der Fliegerchronograph in ceramic (ref. 3705) was the coolest of the lot, followed closely by Der Doppelchronograph split-seconds (first the ref. 3711 then ref. 3713). But the grail was actually a bona fide military watch: the IWC Porsche Design Ocean 2000 “Bund” Amag (ref. 3519). 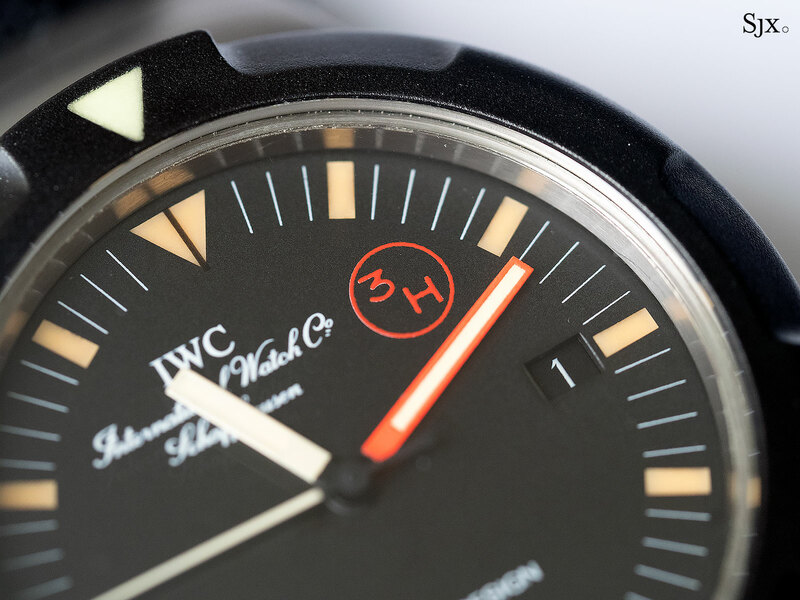 In the early 1980s IWC started supplying the German navy kampfschwimmer, or combat diver, unit with Porsche Design Ocean 2000 watches; some say the Ocean 2000 was originally conceived in response to the military tender. Designed by Ferdinand Alexander “Butzi” Porsche – who’s best known for designing the 911 – the Ocean 2000 was a masterpiece of design, thin and sleek, yet functional enough for elite navy commandos. There exist several photos of “Butzi” Porsche wearing a civilian Ocean 2000; the military-issue versions were distinguished by the flat crystal, black hard-coating on the bezel, as well as an orange minute hand. By the 1990s the earliest issued watches were decommissioned, eventually finding their way to collectors. But at the time it seemed like the only people in the world collecting them were the Japanese and Germans. The best reference site for the military-issue Ocean 2000 being a Japanese page that has long disappeared. The Ocean 2000 Amag is an entirely non-magnetic watch developed specifically for the mine clearance divers of the Kampfschwimmer, since certain naval mines are triggered by magnetism. Only 50 Amag watches were produced, and perhaps five additional prototypes. 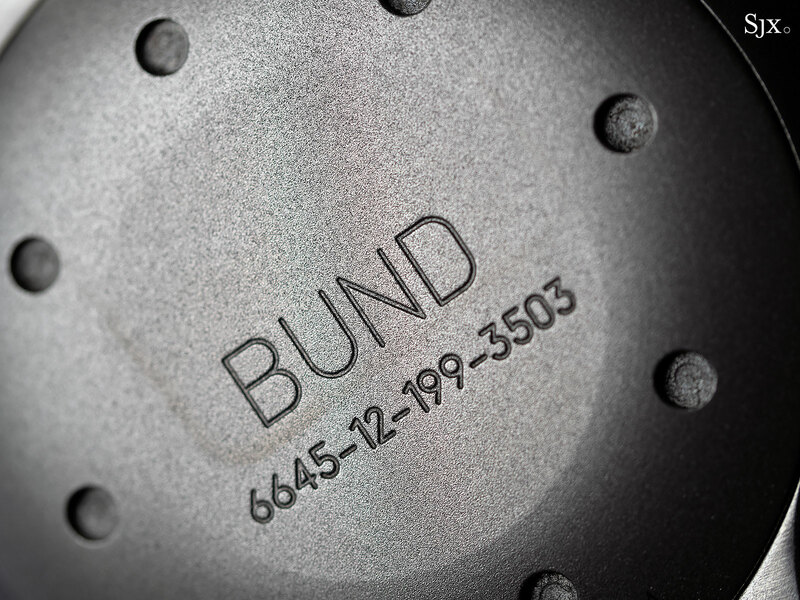 The secret to the magnetism resistance in the Amag watches was the use of non-magnetic alloys to make key parts of the movement, which was actually an ETA 2892. Niobium-zirconium, for instance, was used for the hairspring and escapement. Even the spring-loaded pins for the strap attachment were non-magnetic and unique to the Amag watches. Some of the tech inside came from the earlier IWC Porsche Design compass watch, which had to be resistant to the magnetism of the compass needle. And subsequently some of the tech made its way into the Ingenieur 500,000 A/m. While such non-magnetic tech is commonplace today – Omega’s Master Co-Axial movements are the winners here – it was landmark achievements in the 1980s. More importantly, the magnetism resistance of the Ocean 2000 Amag was actually life or death, and not merely a talking point at SIHH or Baselworld. Now IWC is more of a mainstream brand, so the most esoteric watches like the Ocean 2000 “Bund” have become less sought after. That’s because the bigger a brand becomes, the bigger its audience, which means an averaging out of taste towards the most popular, or “iconic”, watches. The value of the Amag has been declining or stagnant since the early 2000s, which is shame, because it is probably the most intriguing military-issue diver’s watch ever. A throwback to the Der Fliegerchronograph ref. 3706.